The Cyprus problem will never be solved without a paradigm shift away from leaders and referenda, and towards "bottom up" re-unification and tangible, small-scale progress. Flickr/United Nations Development Program in Europe and CIS. Some rights reserved.“The newly elected leftist leader Mustafa Akıncı brought about more hope for a solution to the Cyprus problem than ever”. This is the new motto of the international and local media interested in this problem. But where does the hope lie? Not many have a proper answer to this question. The relevant actors (Cyprus Government, Turkey, UK, Greece and UN) need to understand where the hope lies. There is no need to deceive ourselves. For any rational person and actor familiar with the Cyprus problem, it is quite obvious that the problem will not be solved within the existing “paradigm”. We Cypriots know very well that it all starts with hope, turns into a blame-game, ends, and then starts again. This is what happens in the existing paradigm. Whether the hopes will become reality or fall into the vicious circle of the paradigm depends on understanding and changing the paradigm. But what is this existing paradigm and why do we so desperately need to change it? Although we know that the existing paradigm is problematic, we do not seem to know its essence and how such essence is related to permanent failure of whole the world in solving the problem. In the light of the new development in the north part of the island, it is more important than ever to understand the paradigm of the Cyprus Problem and try to change it. What turns something into a paradigm are first of all its main assumptions and the paradigm of the Cyprus problem consists of two main assumptions. The first resides in the very idea of a solution. We tend to believe that a solution will result from an agreement on a “comprehensive plan”. The Cyprus problem, according to the paradigm, will come to an end when leaders agree on a plan and convince their communities for two “yes” votes. However innocent and realistic this might sound for protagonists of reunification, it is the biggest hurdle in the way of a solution. This is because within this assumption, there is an unquestioned and highly disputable belief: The belief that it is possible to redesign a society (or two) from top to bottom without serious problems. What is named as a “comprehensive plan” is, at the end of the day, a design for a new society. This assumption, however, is itself the main obstacle for the protagonists of the solution. You might naturally ask why this would prevent us from moving forward. Let me try to explain why. First of all, since the level of trust is so low between communities, it is difficult to convince those very same people for a top-down redesign of the ways in which they have been living. Such redesign creates fear and anxiety and these feelings prevent people from saying “yes” to a comprehensive plan. Secondly, in case of such a redesign, leaders, who would sign a comprehensive plan, will bear the whole responsibility of such change and they also fear from such responsibility. In fact, 50 years of negotiation history tells us that the leaders will never take such responsibility and the majority of people will not retreat from fear of a top-down change. In others words, leaders will either not do enough to encourage a “yes” vote or avoid from agreeing a comprehensive plan altogether. So, the idea of redesigning the society from top to down is not at all realistic. However, this unrealistic notion somehow resides in the very idea of a solution. The other assumption of the paradigm is quite related to the first one. Within the paradigm it is believed that the solution of the problem will bring about a totally new society. In other words, once we come up with two “yes” votes to the comprehensive plan, there will come about a new economy, new politics, new constitution and so on. The real change will begin only after two “yes” votes. Both the protagonist and the antagonist of solution believe that the solution will bring about a new society. Whereas the former envisages this new society in positive terms, the latter believes in the reverse. Despite their differences, however, both the protagonists and antagonist of the solution agree on the idea that only after two “yeses” the “big” change will begin. This assumption is problematic too. The problem here is that the advocates of solution bear the risk of sounding like Priests selling land from haven to the common people. They find themselves defending something positive, but, at the same time, what they are defending has no real existence whatsoever. And something that does not exist is not always enough to motivate a whole society in the right direction. In such a context, the antagonist can easily turn the idea of a solution to a one way ticket to hell. That is, within the existing paradigm it is not at all difficult for the anti-reunification camp to convince people that the comprehensive plan is going to be the worst of all alternatives. In short, it does not make sense to think of a solution for the Cyprus problem through these two assumptions. We have to begin from a different place, if we really desire a solution. We have to invent a new method. A paradigm shift is necessary. Paradigm shifts often happen through changing fundamental beliefs and understandings. So those who are after a solution need to find ways for changing the society from the bottom as well as the top. They need to find ways to bring the communities together on a day to day base. Protagonists of a solution also need to leave aside the idea that change will begin after two “yeses”. Change has to start now, before the famous two “yeses”. People need to experience the positive side of reunification through certain steps taken before an agreement on a comprehensive plan. So, if there is going to be a meaningful negotiation, it has to begin from small and practical steps that can be taken very quickly. These steps need to be implemented before leaders go into the details of a comprehensive plan. Only after such steps are taken, can there emerge the context in which leaders will show the necessary courage to agree on a comprehensive plan. It is possible to detail these starting points with more practical alternatives, but I shall leave that part of the story aside now and only note that unless we change our main assumptions about the solution, we will face with the reality of permanent division. From now on, to test the honesty of the actors willing to solve the Cyprus problem, one has to refer to the degree to which they can challenge and change the existing paradigm with a new method. To come back to our main question now, what is hopeful with Mustafa Akıncı is exactly this. He proposes a parallel track to the main negotiations that would include opening of the fenced off part of Famagusta (Varosha) and the Famagusta Port for international trade. This seems to be one of the best ways to challenge the existing paradigm of the Cyprus problem because it comes with high potentials for bringing two communities together on a day to day basis. 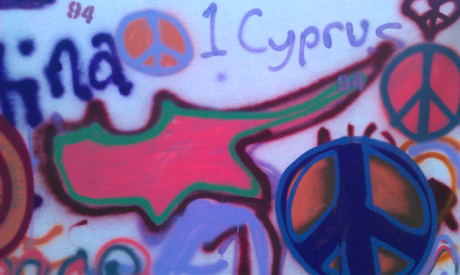 It has the potential to build trust, cooperation and prevent fear from dominating the minds of common people in Cyprus. If the international actors are serious about solving the Cyprus problem, they need to encourage this parallel track with their best intentions and means. This seems to be the best way to challenge and change the vicious paradigm of the Cyprus problem.